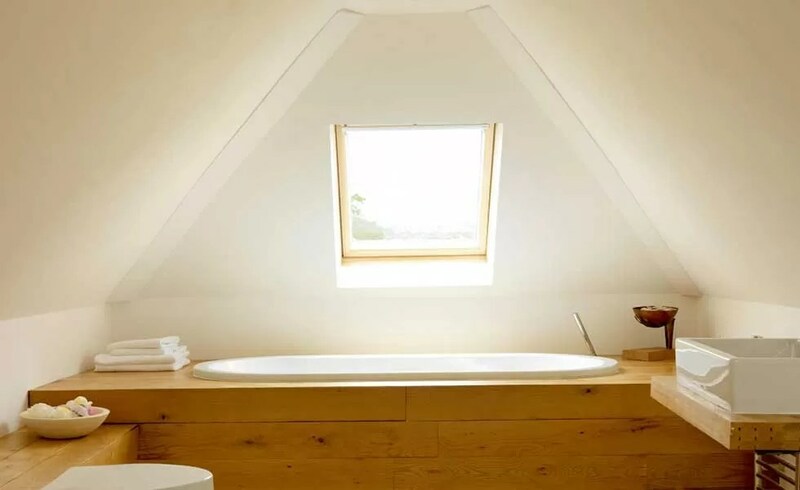 This feature explains everything you need to know about planning your loft conversion project and, by way of an example, this step-by-step guide link shows how the roof space in a 1950s bungalow was converted to provide two bedrooms and a shower room. Most of the work was carried out by the homeowner, and the author, with expert help for some of the trickier tasks. Yes – all loft conversions need Buildings Regulation approval, regardless of whether planning permission is needed or not. A building control surveyor will inspect your work at various stages and will issue you with a completion certificate on final inspection. If your home is semi-detached or terraced, you’ll need to notify your neighbour of your proposals if the works fall under the Party Wall Act requirements. For instance, if you are building in beams which will bear on the party wall(s). The features that will decide the suitability of the roof space for a loft conversion are the available head height, the pitch and the type of structure, as well as any obstacles such as water tanks or chimney stacks. An inspection of the roof space will reveal its structure and physical dimensions. Take a measurement from the bottom of the ridge timber to the top of the ceiling joist; the useable part of the roof should be greater than 2.2m. If you have appointed an architect or designer, invite them to illustrate clearly how much headroom there will be across the floor in the finished space. Some people are disappointed by how much standing space they actually have, and this isn’t always conveyed on plans. The Building Regulations impose no minimum ceiling height for habitable rooms. The headroom standard for stairs of 2m applies, but this can be relaxed to 1.9m or 1.8m on the edge of a stair if necessary. Without the roof space for water tanks and plumbing, the heating and hot water system may have to be replaced with a sealed system. Unvented hot water cylinders make a better choice than replacing the boiler with a combi (combination) boiler but they do take up a cupboard-sized room, which you will have to find space and budget for. The higher the pitch angle, the higher the central head height is likely to be, and if dormers are used or the roof is redesigned, the floor area can be increased. Two main structures are used for roof construction — namely traditional framed type and truss section type. The traditional framed type is typically found in pre-1960s houses where the rafters and ceiling joists, together with supporting timbers, are cut to size on site and assembled. This type of structure has more structural input, so is often the most suitable type for attic conversions. The space can be easily, and relatively inexpensively, opened up by strengthening the rafters and adding supports as specified by a structural engineer. Post 1960s, the most popular form of construction used factory-made roof trusses. These utilise thinner – and therefore cheaper timbers – but have structural integrity by the addition of braced diagonal timbers. They allow a house roof to be erected and felted in a day. However, this type of truss suggests that there are no loadbearing structures beneath, and so opening up the space requires a greater added structural input. This will normally involve the insertion of steel beams between loadbearing walls for the new floor joists to hang on and the rafter section to be supported on — together with a steel beam at the ridge. This added structural input requires skill, knowledge and equipment that would limit scope as far as DIY is concerned — and a far greater cash outlay. It is advisable to seek advice from specialist firms in this instance. 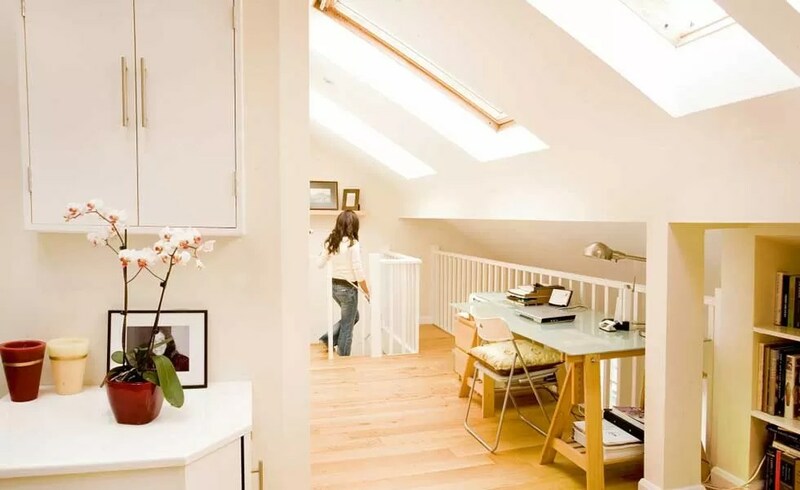 The cost of your loft conversion will depend on your roof structure, the existing available space and whether any alterations need to be made to the floor below to accommodate the staircase. The second option which does not require dramatic changes to the roof is to do the above and add dormer windows. This will increase the useable floorspace and can be used to add head height which gives you more options when it comes to placement of the stairs. This will cost upwards of $30,000. However the average dormer loft conversion with a double bedroom and en suite costs about $50,000–$70,000. This option is the most expensive as it require the removal and rebuild of the existing roof. It also requires planning permission approval so you local planning permission application cost must be added on. Another added expense will be the additional design work that may be needed as it is more complicated that a room in roof, or dormer loft conversion. This type of work is likely to cost upwards of $60,000. Some companies will create a package type ready-made room which is fabricated off-site and craned into position. The benefit of this is that it is quicker than replacing the rafters and rebuilding the roof thus reducing scaffold hire and labour costs. However, this option costs around $80,000 for the average home. How can I Convert my Loft With a Low Head Height? This would involve removing part or whole of the existing roof, and rebuilding it to give the required height and structure. This is structurally feasible, but the major problems are the high cost and getting planning permissionapproval. If the whole roof area needs removing, a covered scaffold structure, to protect the house from the weather during the works, would also be required. The ceiling height in some rooms in older properties may be 3m or more, so if the roof space height is limited there is the option of lowering the ceilings below, providing it still allows at least 2.4m. This will require all the existing ceilings in question to be removed, causing much mess. With this method a plate will need to be bolted to the wall using shield anchors or rawlbolts, for the new floor joists to hang from. There is also a need for a suitable tie between the roof structure and the dwarf wall formed, to prevent the roof spreading. Any DIY involvement will be limited to supervised demolition and clearing up. The existing ceiling joists are unlikely to be adequate to take a conversion floor, so additional new joists will be required to comply with the Building Regulations. The size and grade would have been specified by the structural engineer, who will have taken into account the span and the separation distance for a given loading. The new joists span between load-bearing walls, and are normally raised slightly above the existing ceiling plasterwork by using spacers below the joist ends. This spacing must be sufficient to prevent any new floor joist deflection from touching the ceiling plaster below. The new joists run alongside the existing joists. Above window and door openings, thicker timbers are used to bridge the opening, so that pressure is not put on the existing opening lintel. Further Reading from Econoloft Ltd – The Loft Conversion Authority. The most straightforward is to use a ‘cold roof’ method. This involves filling the space between the rafters with 70mm-thick slab foam insulation such as Celotex, ensuring that there is 50mm spacing between the roofing felt and the insulation (for ventilation via the roof and soffit vents). In addition, 30mm slab insulation is attached to the inside of the rafters, giving a total of 100mm of insulation. The rafter thickness is often less than 120mm, so a batten may be required along each rafter to allow the 50mm spacing and the 70mm insulation. The roof section requires 300mm of mineral wool insulation (e.g. Rockwool), or 150mm of slab foam insulation, such as Celotex. This method can be undertaken by the DIYer. The other main method is ‘warm roof’. This method uses 100mm Celotex insulation or similar over the rafters, and a covering capping, followed by the tile battens and tiles. This is not really a practical option unless the roof coverings have been stripped off. It could be used with a dormer, especially if it has a flat roof. Continuity of insulation between walls and roof is required to avoid any cold bridging. The dormer walls can be insulated with 100mm Celotex between the studwork. The internal partition walls use a 100mm quilt that will provide sound insulation. Plasterboard is attached to one side of the wall then the quilt inserted, followed by plasterboard on the other side. Insulation is also placed between floor joists, and this is typically 100mm-thick Rockwool fibre or similar — mainly for its sound-reduction properties. The minimum height requirement above the pitch line is 2m, although this could be reduced to 1.9m in the centre, and 1.8m to the side of a stair. In practice, the actual position will depend upon the layout of the floor below, and where necessary the available height can be achieved using a dormer or adding a rooflight above the staircase or, if appropriate, converting a hip roof end to a gable. Maximum Number of Steps: The Building Regulations specify that the maximum number of steps in a straight line is 16. This is not normally a problem, as a typical installation usually only requires 13 steps. Sometimes a bespoke solution is required. Bespoke staircases cost much more than standard off-the-shelf models, so it pays to consider all your options. It is also worth having the design approved by your Building Control body to ensure the staircase will comply. Ask your joiner or builder to email a copy for approval before the staircase is fabricated. The loft room will require a means of getting natural light and ventilation. Typically this does not involve much structural alteration. The most straightforward method is to use rooflights that follow the pitch line of the roof. This type is fitted by removing the tiles and battens where the rooflight will be fitted. The rafters are cut to make way for the rooflight after suitably reinforcing the remaining rafters.The rooflight frame is then fitted and flashings added before making good the surrounding tiling. This type of window is the most economic, and more likely to be allowed without planning permission, under your Permitted Development rights. Conservation rooflights, which are slightly more flush to the roofline and are made of metal, can also be specified. Dormers not only give natural light but can add space to a loft extension; they can be at the ends or sides. They are particularly effective where the pitch angle is high, as the useful floor area can be increased. The mansard type will give maximum conversion roof space because it projects the maximum available head height, thus giving a greater usable floor area. A hip to gable conversion has a similar effect. Dormers and other similar conversions are normally installed by opening up the roof, and cutting the required specified timbers to size on site. They normally involve compound angle cuts so may not be a task that a DIYer would like to undertake. Care also needs to be taken with the roof and side coverings, to get a good weatherproof structure. Dormers can have gabled or hip roofs, and with careful design can enhance a roof line. In practice, a mixture of the available types can result in the maximum light and space, and provide a fire exit. Egress window openings are needed to serve all first floor habitable rooms, but not bathrooms. Openings should be at least 450mm x 450mm and at least 0.33m2 in area. Rooflights are usually top opening — you must ensure the bottom of the opening is between 800mm and 1,100mm from the floor. Escape windows that are over 4.5m from ground level are not viable. Instead, the Building Regs require a protected stair enclosure that leads right down to the final exterior door. It can be entirely enclosed within a hallway to an external door. The staircase can be enclosed in a lobby at the base of the stairs. The lobby will have two separate doors, to offer a choice of either a front or back route of escape. These doors and the lobby walls will need to be fire-resistant and most likely open outwards into the rooms to avoid fouling the bottom of the stairs. If the doors do not open outwards into the rooms, they will be acceptable as long as they create viable options for escape in the event of a ground floor fire. The new floor joists of your loft conversion will need to offer at least 30 minutes’ worth of fire protection, which could mean replastering the ceilings in those first floor rooms below. The loft room will also have to be separated by a fire door, either at the top or bottom of the new stairs. Mains-powered smoke alarms should be installed on each floor of your home and interlinked so that they all sound off when one is activated. Most have a rechargeable battery as a back up that allows the supply to be extended from a lighting circuit if necessary. Wireless, radio-linked alarms can be fitted if you can’t hardwire to the ground floor ceiling.